← Christmas on the 30th. January seems to be the month of picking up the pieces of life prior to the holidays. This year, at our house, that means pressing on with projects. Here’s the list of things we want to do for now. 1. Complete the living room. This means hanging a few pictures, hanging a curtain in the small living room window, finding two upholstered stools, finding the smallest of side tables, and getting the couch back from Dennis, the master upholsterer with new fabric on it. For the two upholstered stools, I am really not wanting to spend a ton of money. I just want the stools to sit against the wall to be used for occasional seating when we have guests. I really want them to look something like this. I am pretty sure I can do the upholstery…I just need to find good stools. 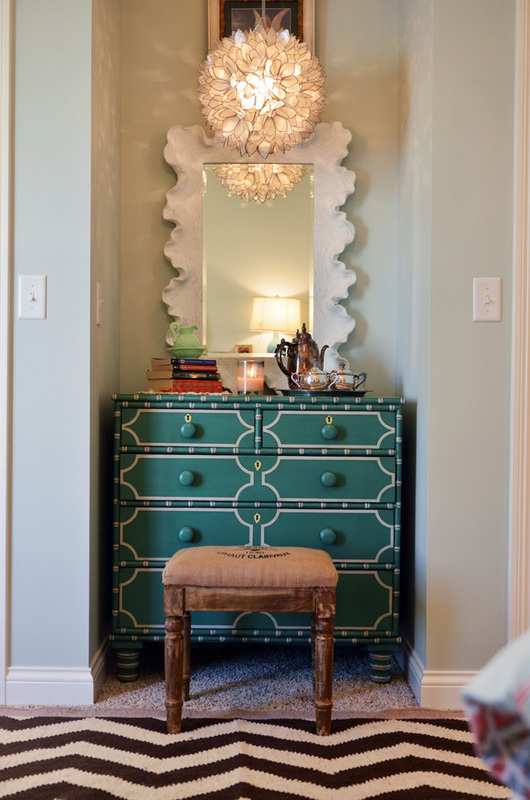 As far a the smallest of side tables, I am wanting to copy Erika, from Urban Grace. I tend to copy her a lot. She inspired me to cover two of my chairs with a fabric that she used in her own living room. And now I am thinking that I need the table she used as well. Pretty much, I am trying to recreate this picture. Here’s the problem. I need to spend about $50 for each of these items. Garage sales, here I come! 2. Getting a curtain hung in the guest bathroom. A sweet friend from church is making curtains for me and she has been a little busy taking care of a woman at church who is paralyzed. I can’t compete with that (won’t try), so the curtain project is taking some time, but oh well. Curtain making can wait when there are people in need. 3. Hanging pictures throughout the house. We had a lot of wall space in the loft, and consequently, we have a lot of pictures. Now we have less wall space, but I still want to try to hang some things. Maybe a room a weekend for a little while will do the trick. 4. Hanging curtains in the last bedroom. Again, this has been sidelined for a few weeks but I think this will happen by Valentine’s day. I am really excited about the fabric. So that is the list for now. We have lots of questions regarding the timing of our next projects. We might take a little break or we might really get going with some big stuff. Time will tell. One thing is for sure. I want to make sure to be present in life this year–not just with projects, but also with people. That’s my real goal. have you looked at all at Ikea? I know it’s kind of simple, modernish stuff, but you might find some stools or little tables that are funky and neat, at least as a starting point. They had a really cute, French-looking metal side table there when I was last there. YOu could check it online. Or try urban outfitters? I don’t know if they do furniture, actually. Good luck–and don’t forget Craigslist!